This house is located 5 minutes from Antigua, It has a living room, dining room, kitchen, laundry área, maid quarters, 2 bedrooms with bathroom, roof top terrace with panoramic view and a 1 car garage. This house is located only 5 minutes from Antigua’s main square. It is brand new, it has 2 bedrooms, 2 bathrooms, a fully furnished kitchen, laundry area; it has a great design with plenty of natural light. This house is located in a gated community, only 5 min from supermarkets and pharmacies. It has 4 bedrooms, 2 living rooms, kitchen cabinets, studio, laundry area and garden. This beautiful house is located in a very secure neighborhood with ample green areas which are very pleasant. It is a two storey home with 2 living rooms, the main one with a fire place, dining room kitchen with cabinets, maid quarter; and 3 bedrooms with a private bathroom and closet, the house also has a roof top terrace with a great view over woods and Guatemala City. 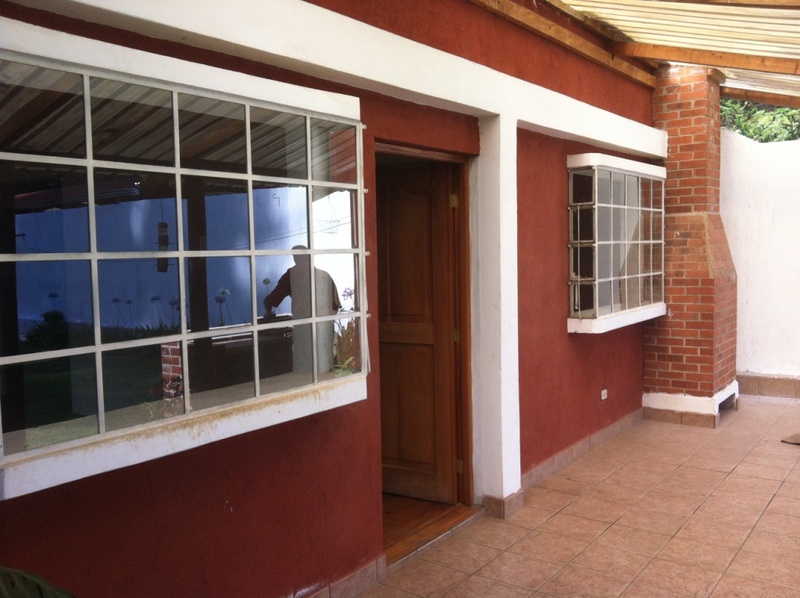 This house is located only a few minutes from San Lucas´s commercial area. The house has 4 bedrooms, 3 bathrooms, a study, the main living room with a fire place, dining room, garden and an outside living space, kitchen with cabinets, laundry area. The house has closets in every bedroom and has abundant natural lighting.